We are an integrated tourism marketing agency that will broaden your horizons when it comes to travel PR and marketing. Prepare to be inspired by our award-winning campaigns that are brought to life by our specialist teams from around the globe. social, creative, data and advertising discovering hidden gems for international travel brands on a daily basis. When it comes to travel marketing there is only one destination you need to visit. Only Travel knows your market like no other agency. We create integrated PR, social media, and digital campaigns for travel, tourism, transport and leisure brands. Our destination marketing clients include airlines, hotels, bus and train companies, tourist destinations, cruise lines, airports, tourist boards, ferry companies, leisure parks and online and high street travel agents. As an integrated marketing agency we have stars in every position. Our team includes commercially-focused strategists, experienced PR professionals, gifted content writers, imaginative designers, inspired film-makers and incisive data scientists. We reckon we have the most gifted digital and social marketing team in the UK as well as penny-pinching media buyers, detail-obsessed event managers, truly creative web programmers and mobile experts who operate at the forefront of hotel marketing and travel communications. Who wants to set off on an adventure with the wrong travel partner? At Only Travel, we never argue over who gets the window seat. We match our skilled team to the needs of every client to ensure a long and happy relationship with many highlights along the way. From reputation management and brand strategy development to campaign planning and tactical execution, we will work with you to engage employees, consumers, media and influencers alike. Our international reach enables us to market travel brands all around the world. Headquartered in London, we have 12 offices in the UK and Ireland and four in North America. 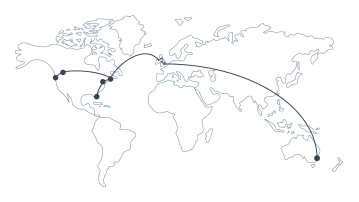 As a key destination marketing agency, we have partners in nearly 50 countries around the globe. To find out more, call us on 0800 612 9890 in the UK; 800 400 3831 in Canada and the US; 1-800 937 374 in Ireland and 1-800 997 395 in Australia. We've been on some amazing journeys with global travel brands including easyJet, SriLankan Airlines, Stagecoach, Hilton, Disney, Novotel, Destination Canada, Jordan Tourism Board, Flybe and GlaxoSmithKline’s travel health division. The next stamp on your passport should be tourism marketing specialists Only Travel.